I paid about $1,000 for my MacBook Air in 2012 and zero since. This works out, so far, to $167 per year, not bad for a high-end laptop. 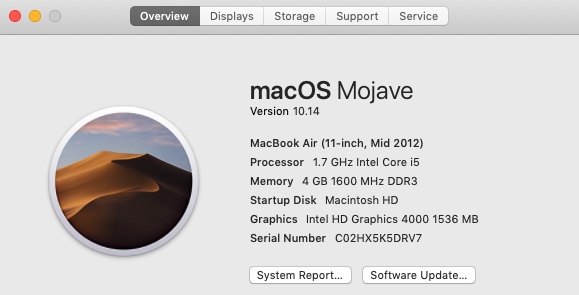 The most recent macOS version, named Mojave, continues Apple's practice of free (I love free) operating system upgrades. The only constraint I have is the 4GB of memory combined with my desire to have too many browser tabs open at the same time, but I expect to get a couple more years out this laptop before I upgrade, most certainly to another Mac.